Give your guests additional seating or put up your legs with this pair of ottomans. Durable materials are built to last through the elements, and provide comfort for relaxation. 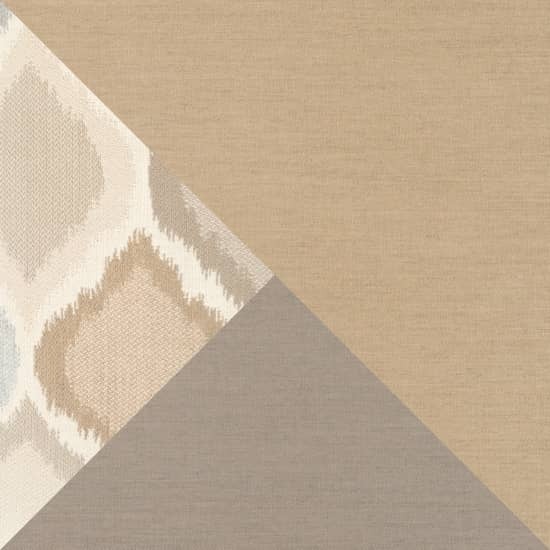 Modern design is coordinated to match the Portofino Collection, and features a timeless look for years of enjoyment. Includes set of two ottomans with cushions. Constructed from durable SolarFast® all-weather resin wicker engineered for outdoor use, hand-woven over a strong and lightweight powder-coated aluminum frame. 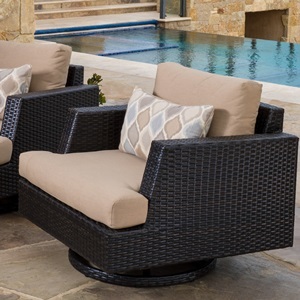 Luxurious 5-inch thick outdoor cushions are wrapped in Sunbrella® fabric. Engineered high density foam cushions feature breathable mesh bottom and integrated Velcro® strap system to hold cushions securely in place. UV, weather, and fade resistant.